Loads of things all at once. It’s not that I haven’t been doing anything recently, it’s just that I haven’t been completing anything. But over the weekend I said to myself that I need to do some basing and get the last month’s fabulous minis photographed. 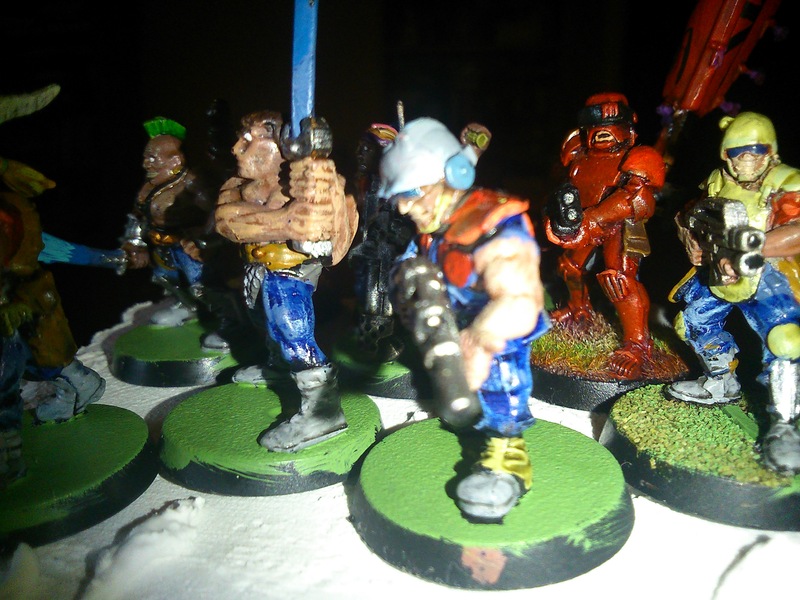 As ever, my paintjob isn’t really the draw, but the wonderful variety of miniatures. 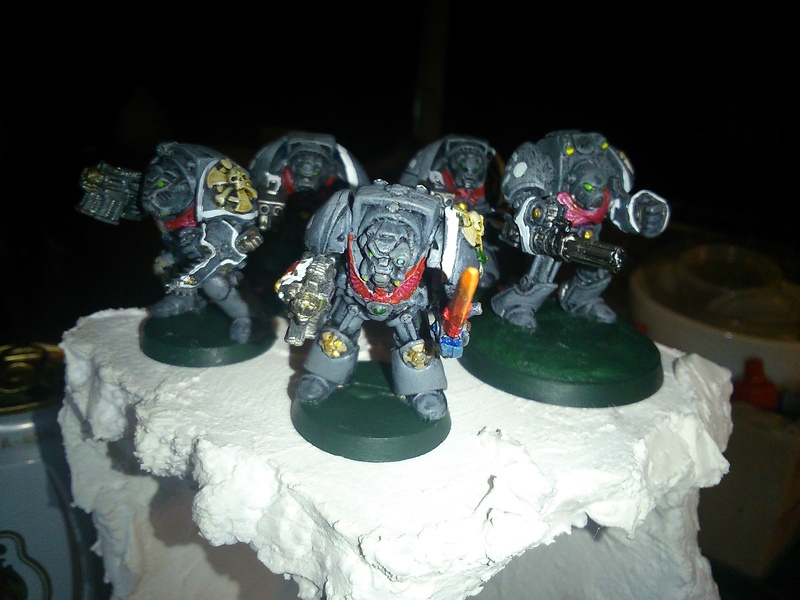 This is the X Squad of the 2nd Company. 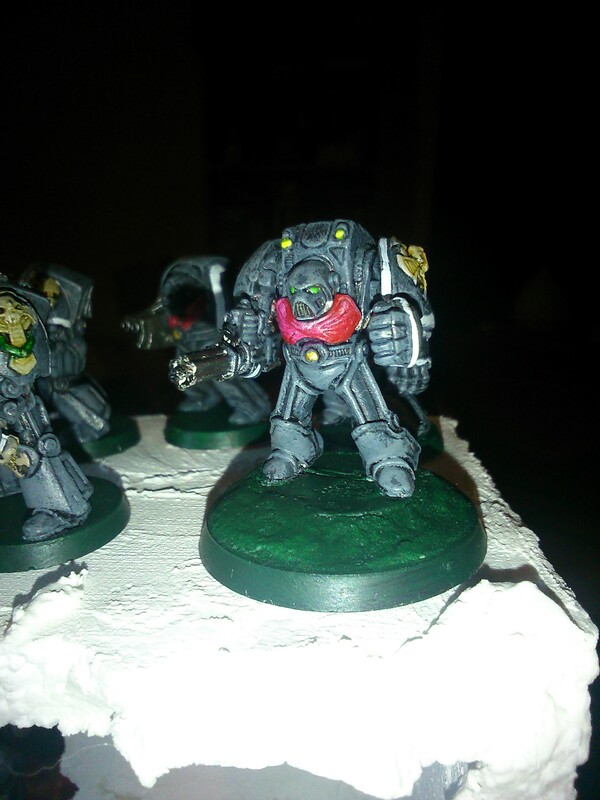 I’ve used a miniatures from a lot of different periods – the Sgt is a Rogue Trader Marine, there’s some 2nd Ed Long Fangs, and lots of different plastic ones including a Dark Vengeance marine. 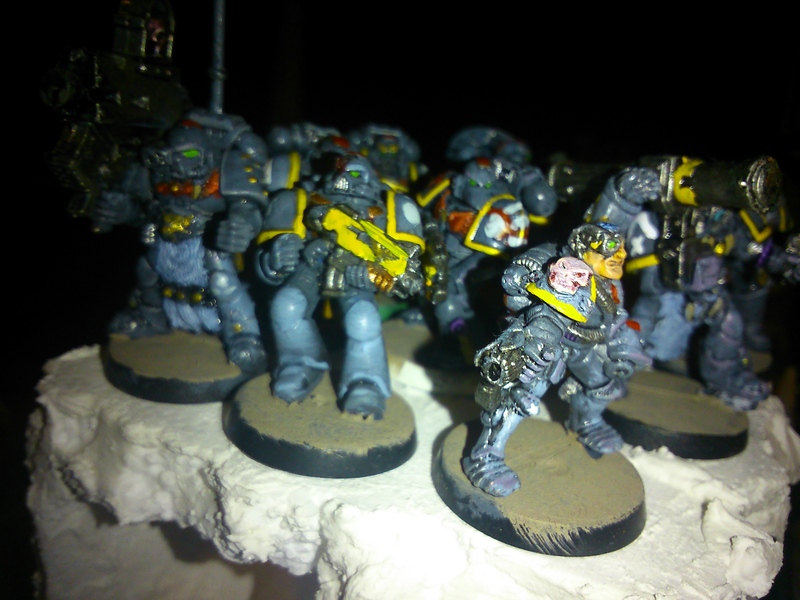 In the middle of this shot you can see one I’ve modelled as a casualty, knocked of his feet by a shot to the head. A group shot. That RT sculpt really is very odd. I count it as artificer armour. Does anyone know what the wrist-mounted weapon is? Here we have a couple of old favourites. 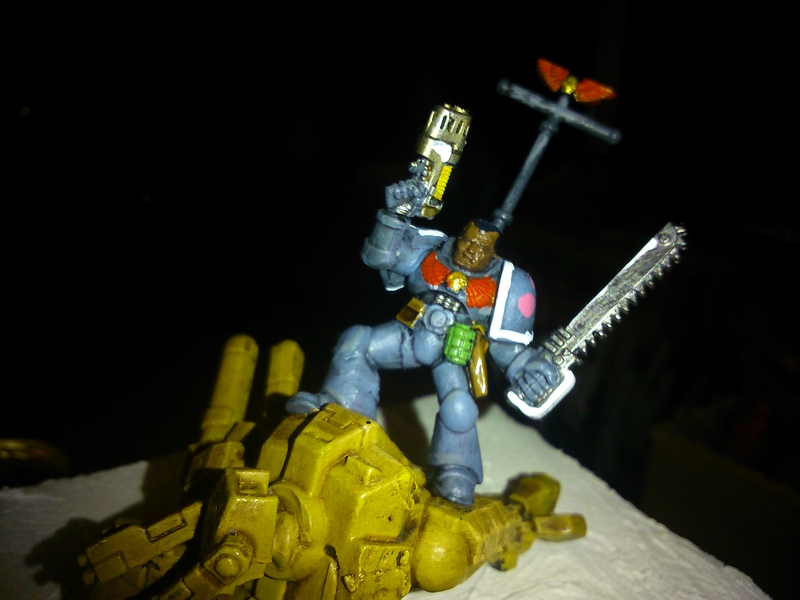 The Painboy I am using as a Servitor – hence the multi melta arm. The model is possibly one of my favourite ever sculpts and I wanted to use it in my armies despite not collecting Orks. Except now I’ve decided that I collect Orks too. The lure of RT Orks became too much to bear! I love the Exo Armour Squat too. I haven’t yet found anywhere to shoehorn him into my collection. 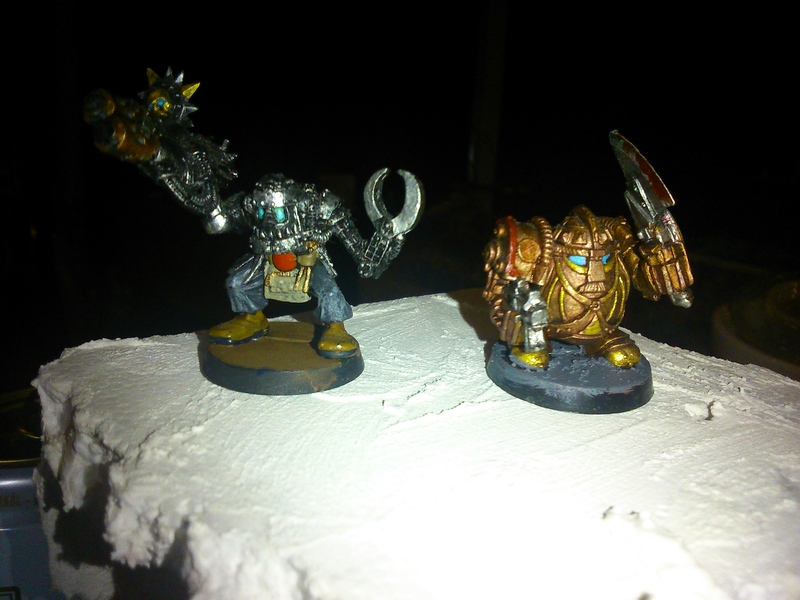 I think I’ll make a Rogue Trader warband, or just use him as a chaos champion. Either way it was a joy to paint. A mark II terminator suit (with mark 3 arms). I was intrigued to discover that this was sculpted before the space marine mk VII armour and so that this is the first appearance of this style of helmet. The rest of the squad. 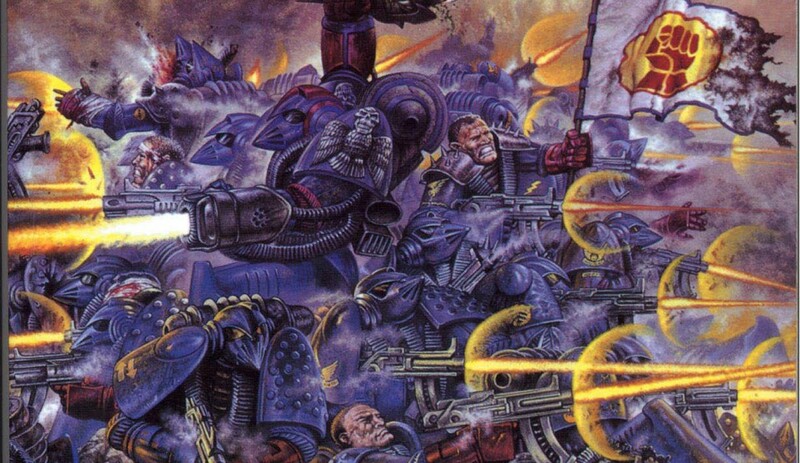 Note the two Space Hulk terminators hiding at the back here. Surprisingly tricky to paint, they were. 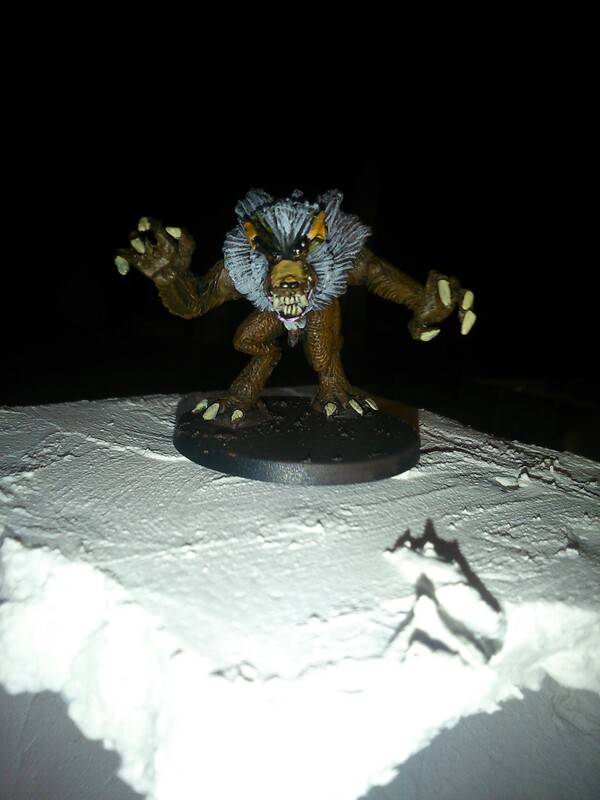 This werewolf isn’t from Citadel, I don’t think. I enjoyed painting it just the same. It doesn’t look that good, more practise on fur needed i reckon. 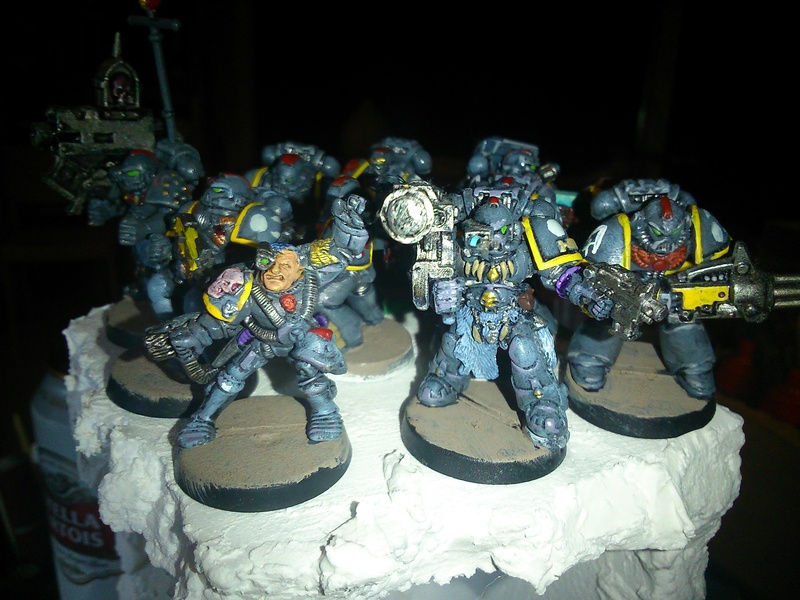 A close up of a Cultist Squad. You may well recognise a few of these old miniatures. 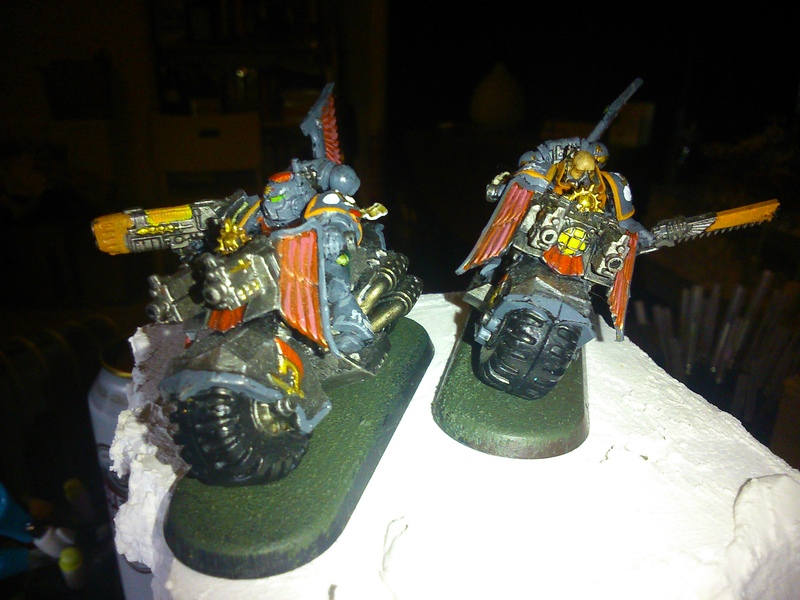 The leader is a beastman but that photo didn’t come out too well. 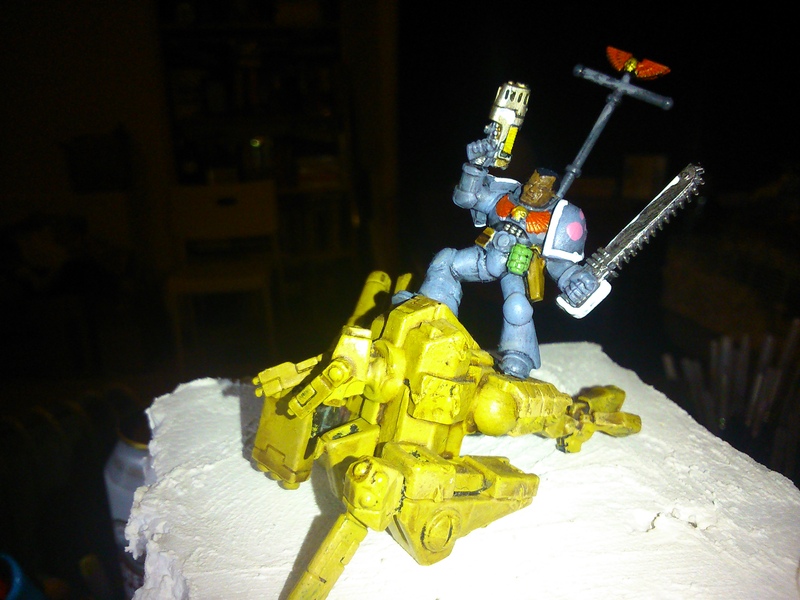 No once cares about the Tau, do they? But a converted 2nd Ed Sergeant might be a bit more interesting. It looks better in the photo than it does in real life, unfortunately. But it’s a start. That’s all from me for now. On my desk at the moment is a ruin, and another squad of cultists. See you soon!